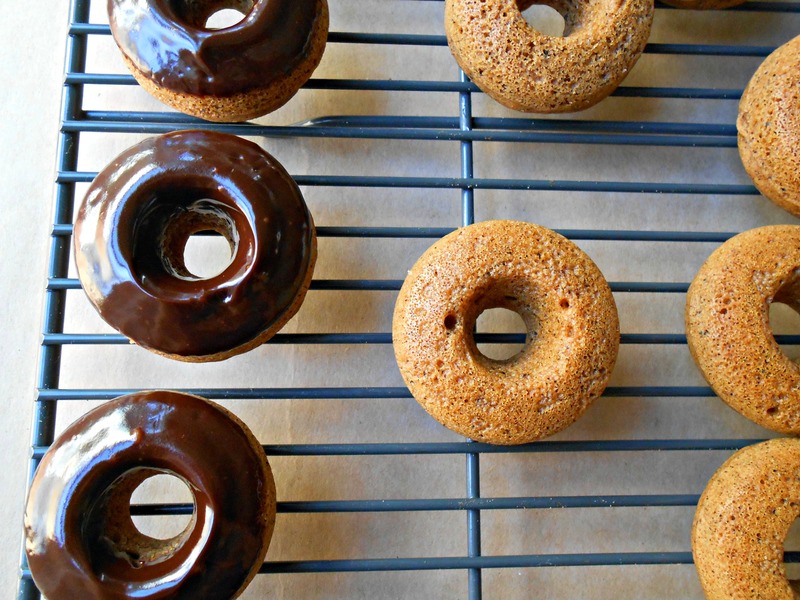 Who’s ready for another donut recipe?! This may or may not be the last one I share for a while…we’ll see. I’ve been eating WAY TOO many sweets lately – one of the downfalls to running trials for dessert recipes. So, I’m thinking I’ll focus on savory after this 😉 If you follow me on Instagram, you got a sneak peek for this recipe…I think the chocolate-y goodness on top lured you in. I wrote this recipe almost six years ago and have drastically changed it and also added one of my favorite teas! The first few trials I ran, I steeped a couple of tea bags in almond milk and then added it to the batter, but the flavor just wasn’t there. It was also being covered up by the strong garbanzo bean flavor (from the all purpose flour) and a couple other ingredients, so after several trials, I finally got the flavor down – it also helped that I took a chance and ground the contents of the tea bags and added it to the batter. Once again, I intended to create an oil-free recipe, but all of the ingredients I tried substituting, took away from the chocolate-earl grey flavor. BUT this recipe is (as always) gluten-free, soy-free, dairy-free, refined sugar-free AND can easily be made nut-free! 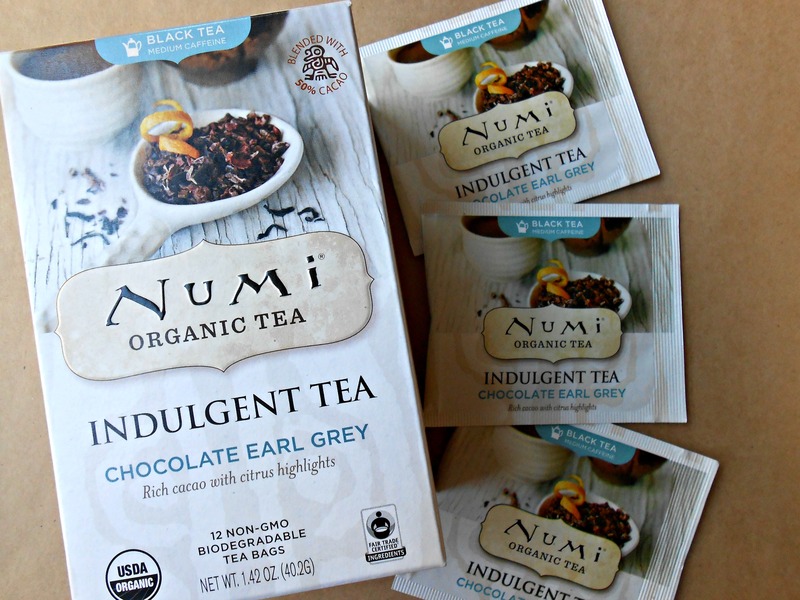 Fair Trade Certified organic cacao powder, Fair Trade Certified organic Assam black tea, organic orange peel, organic vanilla beans, organic bergamot oil. 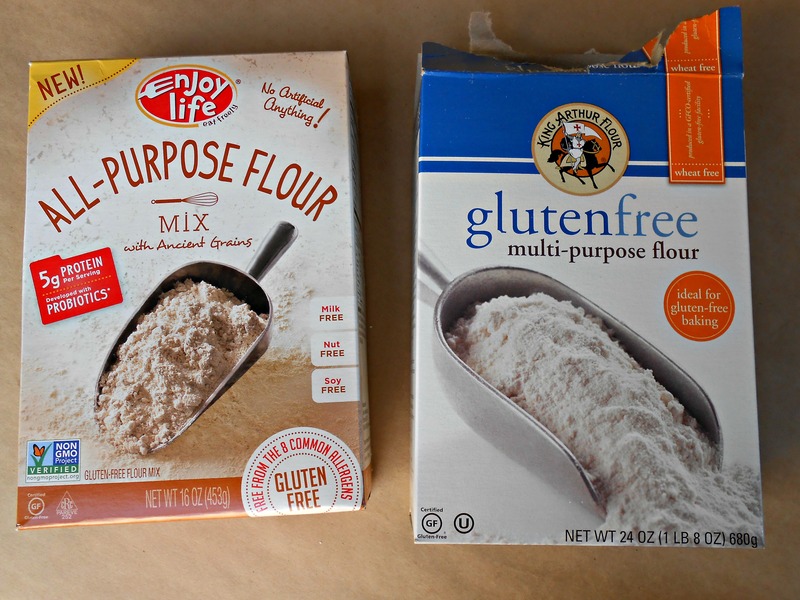 Enjoy Life’s All-Purpose Flour & King Arthur’s Gluten-free Multi-Purpose Flour (they do not contain garbanzo bean flour). Both are pricier than your standard flour. I have found that Vitacost carries the Enjoy Life flour for the best price and Natural Grocers currently has the King Arthur Flour on sale…so go grab a box! *You can use chai tea or espresso powder instead. For those who only use loose leaf tea, use a tablespoon of finely ground tea. **If you like a really sweet donut and have no plans to glaze them, I recommend adding the maple syrup. 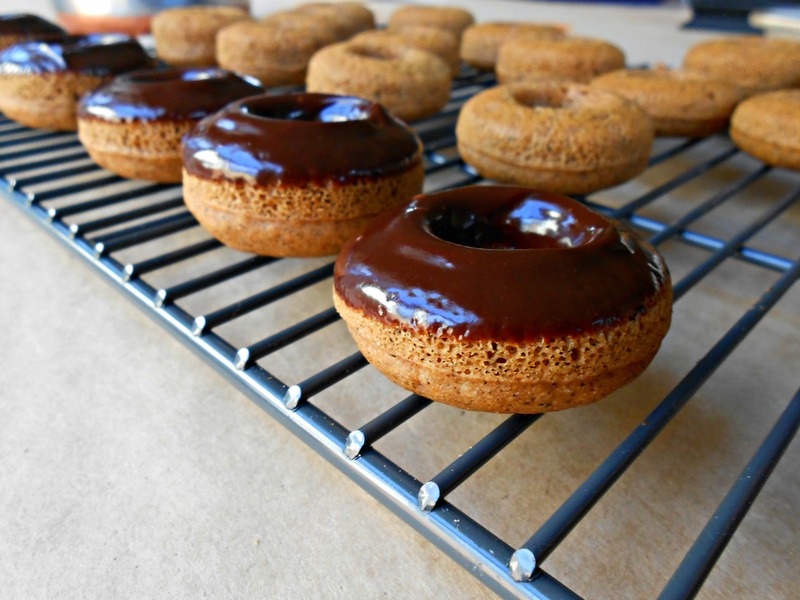 Preheat oven to 350 degrees Fahrenheit and grease your donut pan(s). In a small bowl, prepare your flax “egg” and set aside for at least five minutes. 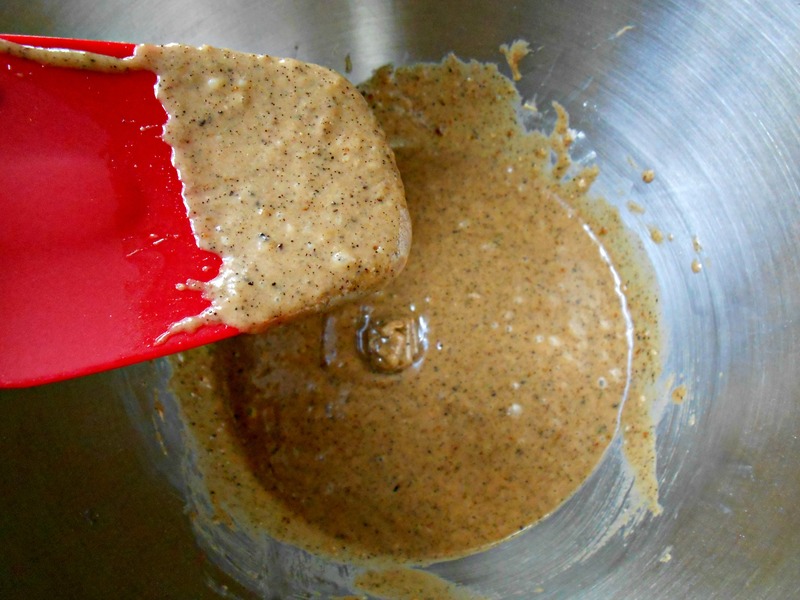 In a large mixing bowl, combine all of the wet ingredients (milk, ACV, vanilla, flax “egg” and avocado oil). Whisk until thoroughly combined. I used my stand-up mixer. 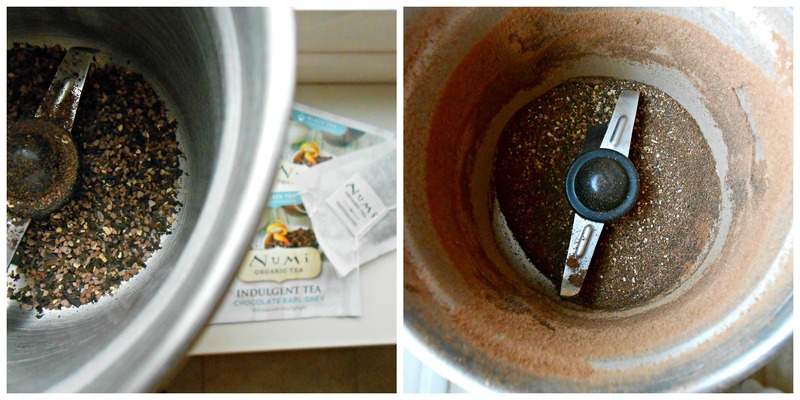 Next, cut open the tea bags and empty out the contents into a spice grinder (or coffee grinder). Grind until it resembles a fine powder (see photo above). Should amount to approximately a tablespoon’s worth. Add this and your other dry ingredients to the bowl and mix until just combined. I recommend sifting your flour & sugar to get the clumps out. The batter will look a bit like pancake batter or creamy almond butter (not as thick and sticky as my previous donut recipe). 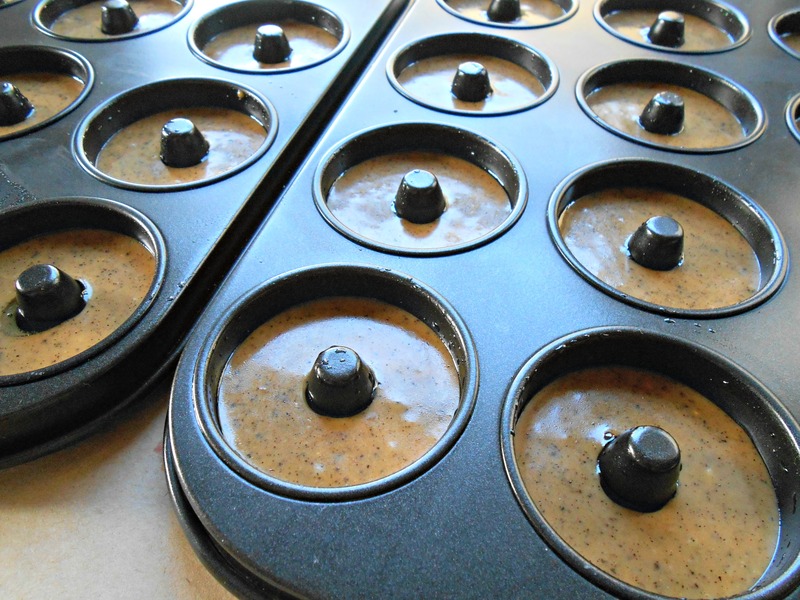 Spoon a tablespoon’s worth of batter into each donut “cup” – somewhere between 1/2-2/3 full. Bake for 15-18 minutes or until a toothpick (tester) comes out clean. My oven is awful and always requires a longer cooking time. The donut should spring back to the touch. Remove the pan(s) from the oven and allow to set for five minutes. 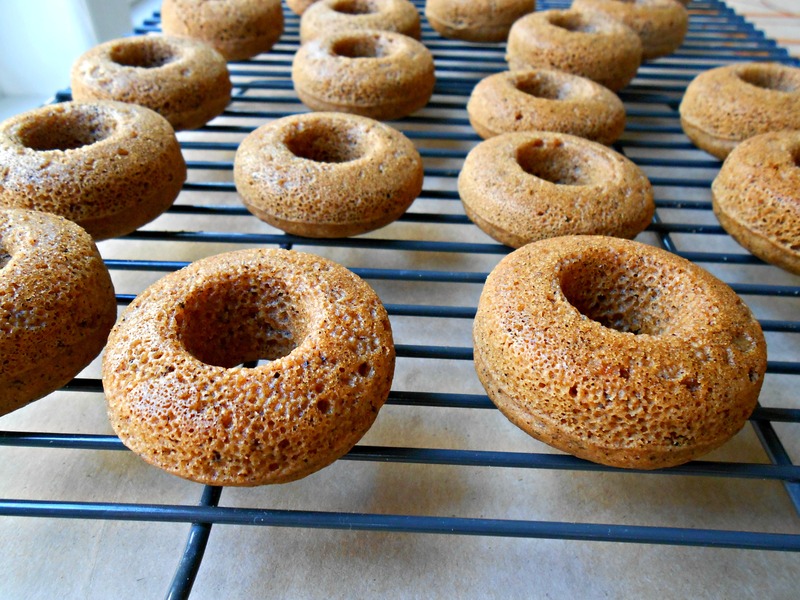 Then transfer the donuts to a cooling rack. 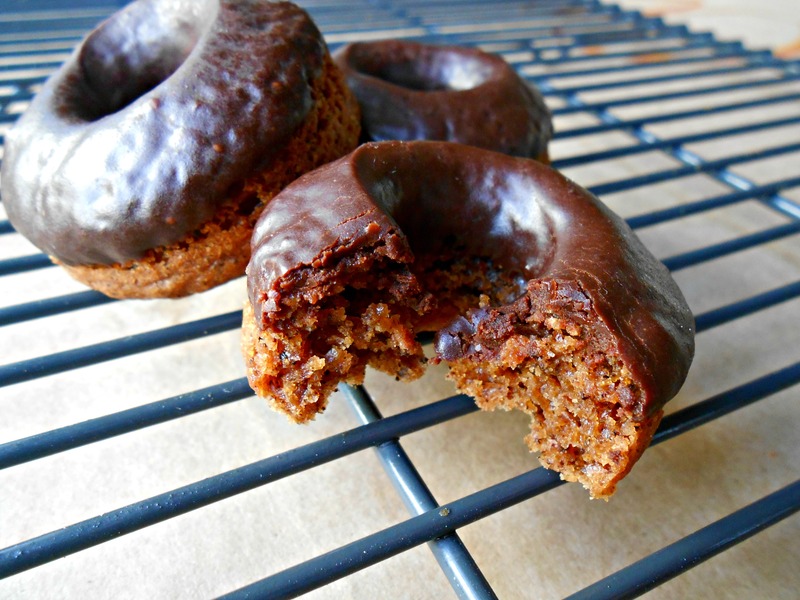 Enjoy plain or with a simple chocolate glaze (see recipe below). I store my leftovers uncovered on a cooling rack in the oven, but you can also leave them on the counter (on the cooling rack) with a piece of parchment paper loosely draped over them. Plastic airtight containers will change their texture significantly. Over low-med heat, melt the mini chips and milk in a double boiler – stirring frequently. 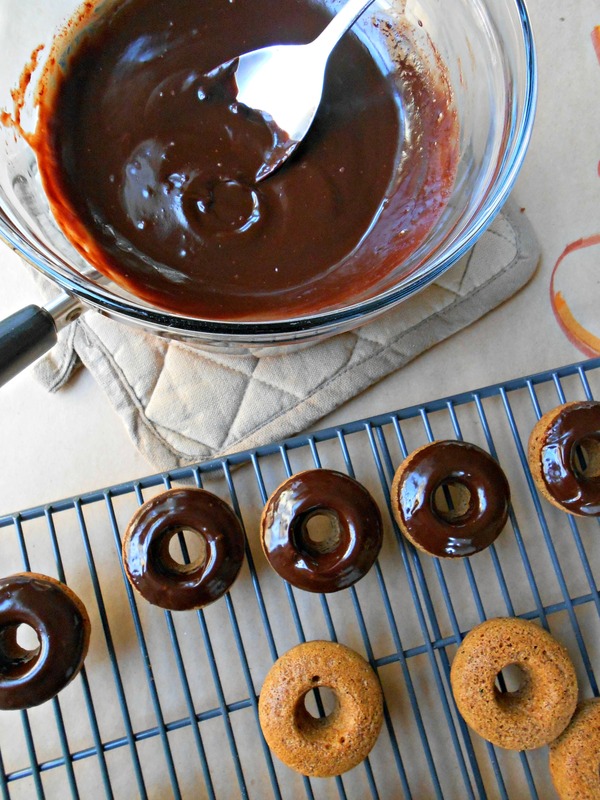 Once melted, remove from heat and dunk the tops of the cooled donuts in the chocolate. Eat right away or allow them to set longer for a firmer glaze. 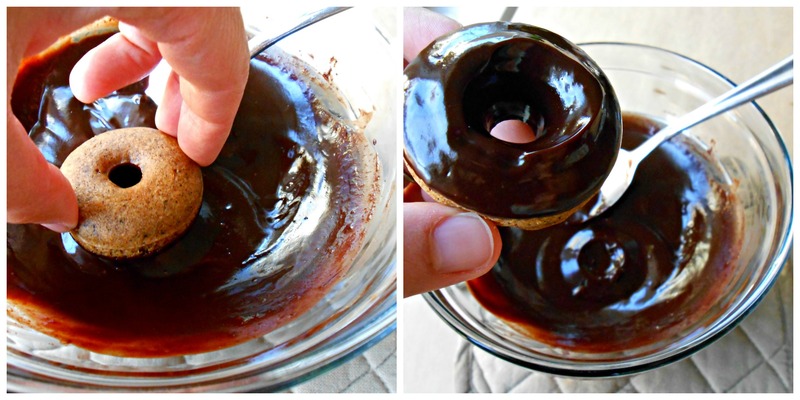 Make sure the chocolate glaze has firmed up before storing them away. 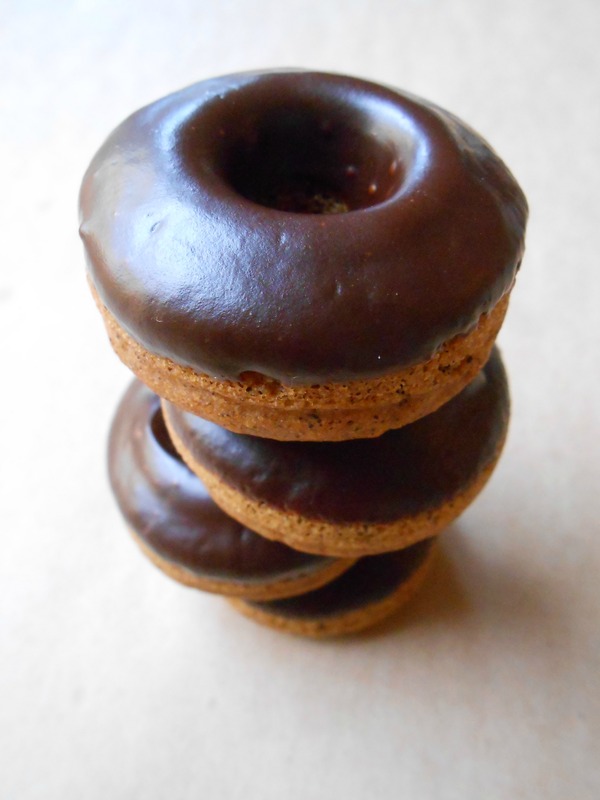 This is how the chocolate glaze looks once it has been set. 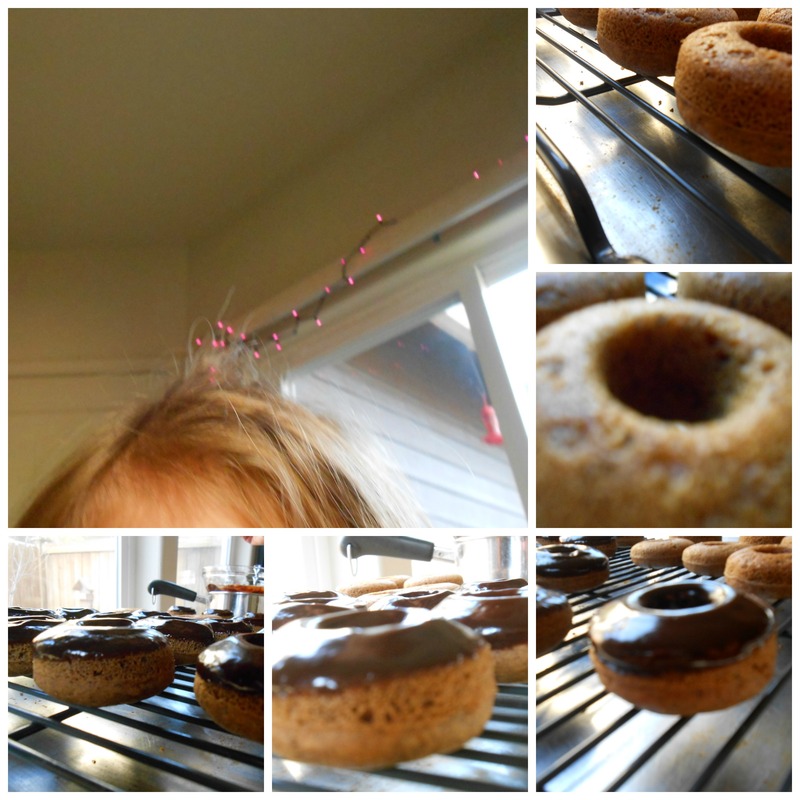 My little helper (and photo assistant) took some photos of her own – she was so proud of them, I had to share them with you! Those are so cute! I bet Willow loved them and her pictures are adorable. What a great treat for the kids! Mandy! I could have sworn I already commented on these, but I’m clearly losing my mind, hahaha! These are absolutely beautiful! The chocolate and earl grey tea is just brilliant my friend!! I love that you used tea in these! I have only used tea in a dessert once before and it was lemon and chamomile which I used for lemon bars and I loved the depth it added, so I can imagine how amazing these are. I swear, you really do have some of the best recipes out there!! !